Eco friendly, sustainable, ethical and slow fashion. All terms that are coming to the forefront these days. But what do these actually mean? I did a bit of reading to try and understand them more. Eco friendly fashion - is where care is taken to use natural dyes and fabrics that are biodegradable so that the environment is not polluted when the usage of the garment is done. Sustainable fashion - sort of overlaps with the concept of eco friendly because the brand is still thinking about the environment. Again here the fabrics used are mostly handwoven so as to keep in line with ecological conservation. A lot of old fabric is also reused and repurposed in sustainable fashion. Ethical fashion-is where the brand practices fair trade so that the artisans get the recognition for their hardwork and get paid. It is all about the human aspect of it. Slow fashion- sort of encompasses all of this because a brand which is eco friendly, sustainable and and handmade will definitely not be able manufacture clothes like a brand who has a production house. The products are churned out slowly i.e. Slow fashion. This is my understanding of these terms and I would be happy if you could leave comments in case I have made a mistake or your understanding of the same. I am slowly trying to make an effort to move my wardrobe into a more environment conscious one. It is not easy, trust me! 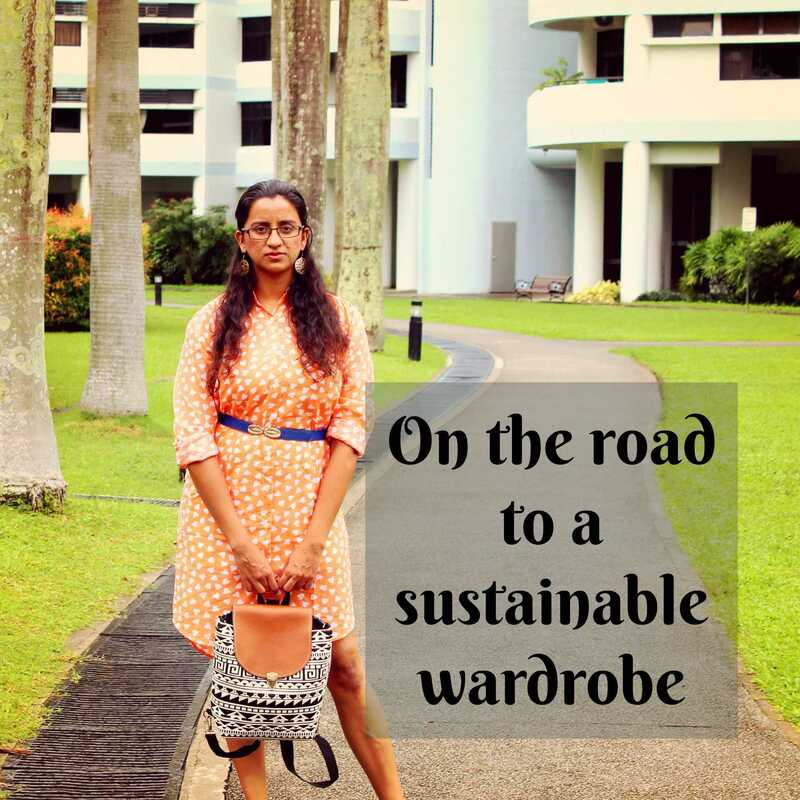 Rossbelle is an ethical and sustainable fashion brand based across Chennai and Dubai. They focus on a lot of wearable pieces and mostly cotton based. Honestly I have been stalking their Instagram page for a while and I was just elated when they got in touch and said they wanted to collaborate.